Who are the Cotswold Way volunteer wardens? 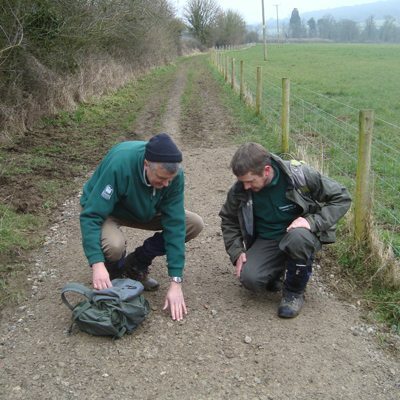 Each month volunteer Cotswold Way Wardens walk the whole length of the Cotswold Way checking upon the condition of the trail. If you see a Cotswold Way warden wearing a green fleece please say hello and more importantly tell them if you have come across any problems. Minor repairs are carried out by the wardens whose rucksacks consist of small tools. Larger jobs are either reported to the Cotswold Trail co-ordinators who send out a small work party otherwise problems are escalated to the Trail Officer.